Although this might not be what you want to hear – all combi boilers will eventually breakdown and need to be repaired or replaced. Even though they are very reliable, one day they will break down. When this happens, we understand that you completely panic, then they have to be fixed and a logical approach to fault finding and repair is essential. 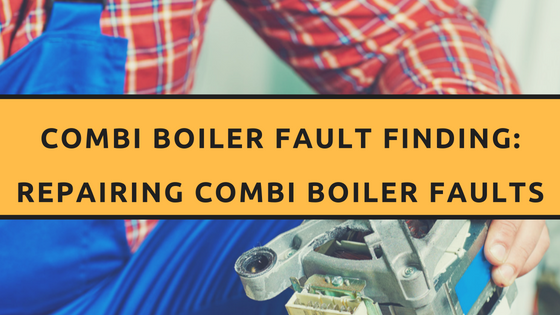 Servicing or fault finding on a combi boiler is about learning about many different types of boiler and realising they are all slightly different. At LC Joinery, our plumber understands about a variety of combi boilers therefore we are the right company for your needs. Carrying out the work efficiently is about understanding the concepts and principles of combi boiler components and how they work, especially in relation to each other. What Do We Consider When Dealing With Combi Boilers? There are hundreds of models and many variations therefore it is very important that we have the knowledge on them. If the fan is running but there is no ignition, the fault is at or after the fan but before the boiler firing. This is always the same. It will be a fault with the fan speed, flue airways, air pressure hose(s), thermistor(s), air pressure switch or its connections, printed circuit board, gas valve, ignition components, or condensate pump. All these components need to be checked unless it is established that the boiler fires in domestic hot water mode but not in central heating mode. A logical approach is required to quickly track down, isolate, and repair the fault. Many leading manufacturers offer courses on the installation, service, fault finding, and repair of their combi boilers. Accompanying these hands-on courses are the manufacturer’s installation, service, repair, and fault finding instructions. A combi boiler should be serviced regularly, ideally every year, by a competent person and this person must be registered, as this is the law. Fault finding on combination boilers is about solving the problem. The problem is that the combi boiler is failing in its comfort role. It is important to us to use a logical approach to fixing the boiler and for it to deliver the full capability. Get in touch with us today so we can identify the fault on your combi boiler. For this it’s advisable to get the quotes of the boiler along with the installation cost.